Meteorological observation in Japan was first started in Hakodate in 1872. The weather was also measured in Japan by using meteorological instruments before 1872, but it was conducted by individuals and the observation period was short (Zaiki et al. 2006). Therefore, we need to rely on historical diaries and documents to recover the climate during the Edo era (Yamakawa 1993). On the other hand, the barometer was invented in the 17th century and meteorological observations were conducted in European countries. It was the age of exploration in European countries and many ships sailed to Asian countries, but Japan was a closed country during that time. Many European ships arrived near Japan in the 19th century with meteorological instruments on board. Historical ship logs are stored in libraries in each country and they attempted to rescue meteorological observation data recorded in ship logs (Brohan et al. 2006). Here we focus on Perry’s fleet who came to Japan in 1853 and 1854 in the late Edo era to open the country (Fig.1). Their ship logs are stored in the US National Archive. Here we introduce meteorological observation data recorded in their ship logs while sailing around Japan. 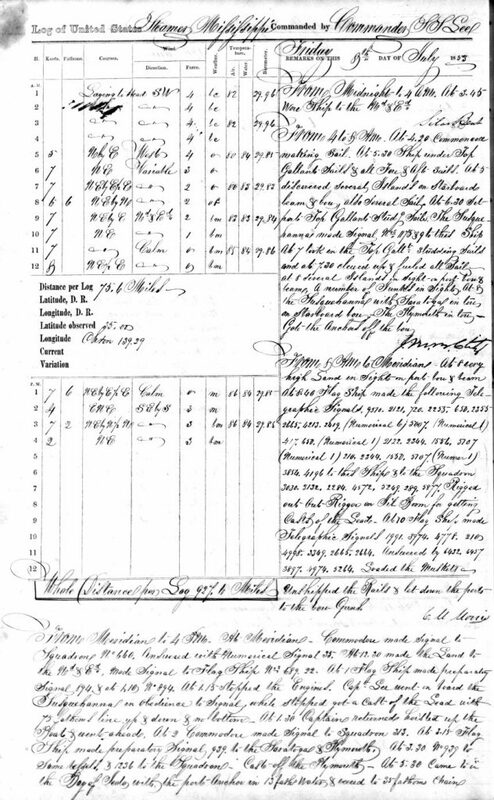 Figure 2 shows a ship log of USS Mississippi, one of Perry’s fleet on the 8th of July 1853 when she arrived in Tokyo Bay. 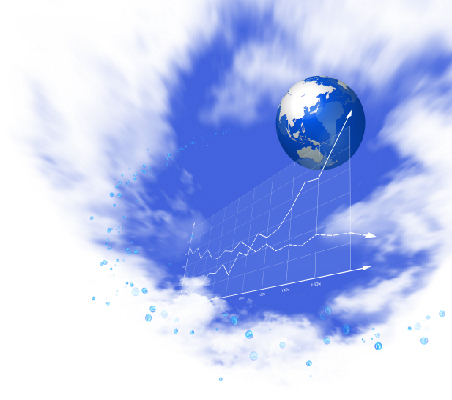 Hourly meteorological observations were conducted. 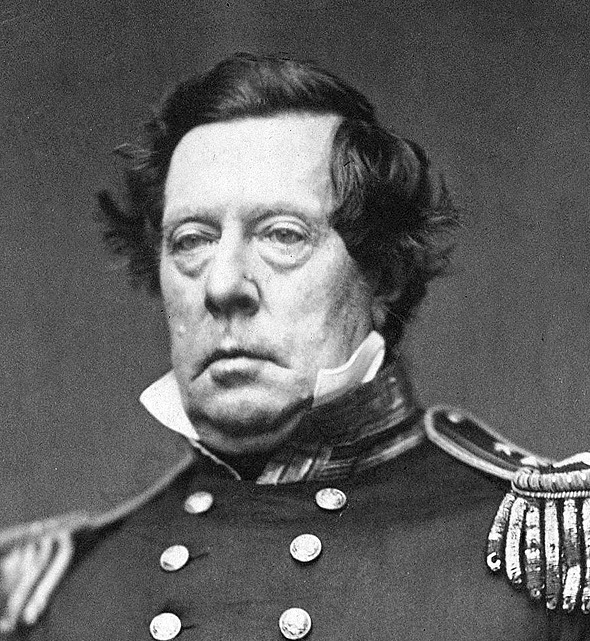 USS Mississippi left the east coast of the US in 1852, sailed eastward and arrived in Japan in July 1853. After that, she spent Christmas in Hong Kong and arrived in Japan again in February 1854. She then sailed eastward and reached the east coast of the US. Meteorological observation data are digitized and recovered from the records of USS Mississippi ship logs. Figure 4 shows the ship track USS Mississippi sailed along East Asia. Fig. 5 shows pressure, wind and existence of rain during 6-8th June when she anchored off the coast of Shimoda. Pressure dropped, associated with rain during 6-7th June, and then northerly wind intensified which indicates a low-pressure passage. Lightning stroke at Edo was recorded on 7th June 1854 in Bukou chronology (Taguchi 1943). It might be related to this low-pressure passage. It is known that ships of more than 10 countries sailed along East Asia during the 18th to 19th centuries. For example, more than 10,000 ship logs were found and stored in the UK library. We expect to elucidate the climate around Japan during the Edo era in the future by using meteorological observation data recorded in European and American ship logs (Kubota 2018, Kubota et al. 2018a,b). Kubota, H., 2018: Meteorological observation records in Hokkaido during the 18th to 19th century, “Saihyo”, 84, 3. 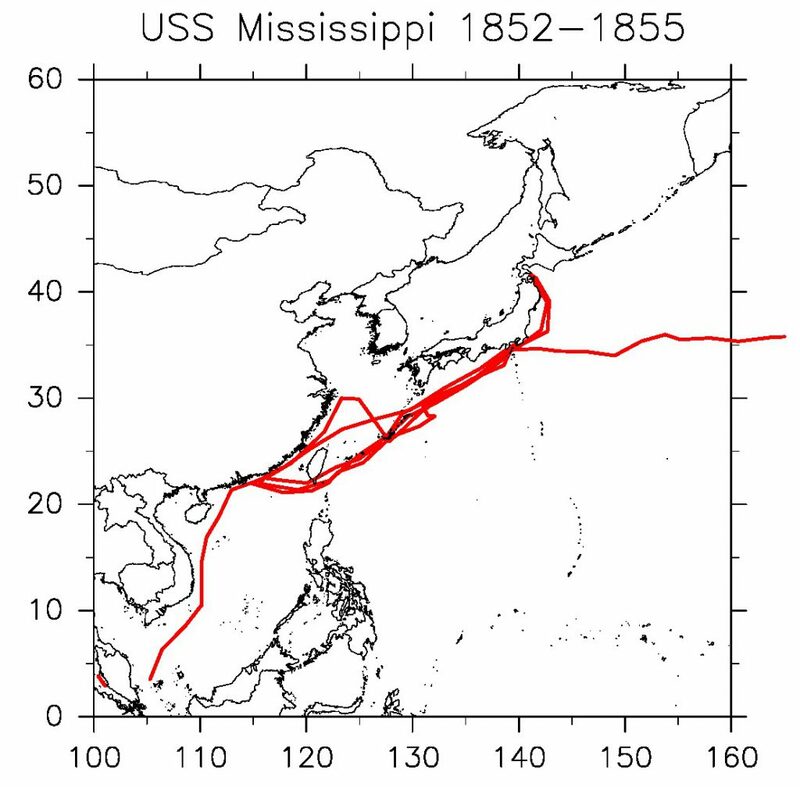 Kubota, H., R. Allan, C. Wilkinson, P. Brohan, K. Wood, M. Mollan, 2018a: Recovery of climate around Japan during the late Edo era using meteorological observation data recorded in foreign ship logs sailed to Japan, Meteorological Society of Japan Fall meeting 2018, B366. Kubota, H., R. Allan, C. Wilkinson, P. Brohan, K. Wood, M. Mollan, 2018b: Recovery of Japan climate during late Edo era by foreign ship logs, The association of Japanese Geographers Spring meeting, 532. Taguchi, T., 1943： Overview of historical weather events in Japan, Central Meteorological Observatory of Tokyo Japan, Chijin Shokan Co. Ltd.
Yamakawa, S., 1993: Natural disaster and climate change during little ice age, Chigaku Zasshi, 102, 183-195.